2013: Academic All-MAC selection … Started eight games as a wide receiver … Recorded 31 catches for 482 yards and three touchdowns, finishing ninth in the MAC in receiving yards (60.3) and 10th in receptions (3.9) … Posted over 100 yards receiving twice … Caught five passes for 115 yards and a score against Wilkes … Posted eight catches for 112 yards and one touchdown at Widener … Recorded 13 punt returns, netting 112 yards and finishing second in the MAC in punt return yardage (8.6) … Returned 21 kicks, netting 458 yards, and finishing third in the MAC in the category (21.8) … Finished second on the team and fifth in the MAC in all-purpose yards, posting 1,052 yards (131.5 per game) … A member of the MAC Academic Honor Roll … Team’s Most Improved Offensive Player. 2012: Appeared in all 10 games ... 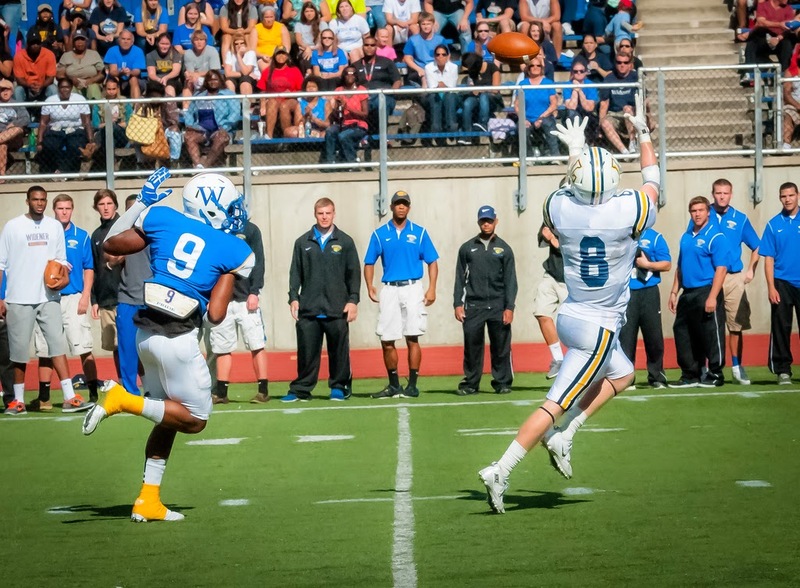 Recorded 14 catches for 137 yards … Finished fourth on the team in receptions and receiving yards … Posted three catches for 43 yards at Delaware Valley … Had a seven-yard touchdown reception against FDU-Florham. High School: Earned second-team all-state wide receiver accolades … Named Second Team All-Metro, first-team all-conference and first-team all-county. Personal: Son of Jim and Kathy Umpleby … Has a brother, Brendan … A business administration major.